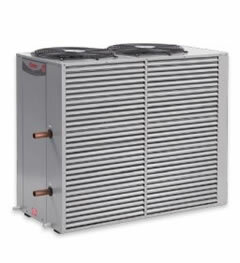 Rheem's Commercial Heat Pump is designed with the commercial user in mind. Up to 22kW output means over 6,500 litres of hot water can be produced per day. Furthermore it delivers high thermal efficiency and hot water at 60°C something not all heat pumps can boast. Only the world's best components have been selected to ensure optimal performance and durability. Up to six heat pumps can be manifolded together and controlled by one master controller and a combination of storage tanks can be manifolded to provide the required storage capacity. An indoor and outdoor model is available to suit all installations.